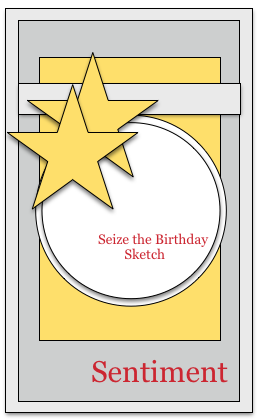 Hello Friends, It’s time again for a new topping over at Seize the Birthday and this time around we have a sketch for you to try, but remember if you don’t want to use the topping you don’t have to, just make sure your card and or project is birthday related. I also want to take a minute to thank Tanja for being such a super Surprise Party Guest! We love your work Tanja and it’s been a pleasure having you with us! Now my card was a lot of fun to put together. I started off using the smooshing technique with my acrylic blocks on watercolor paper. I think I got a little carried away and smooshed a little much, but I still received some cool results! I used some left over pieces for my flowers. 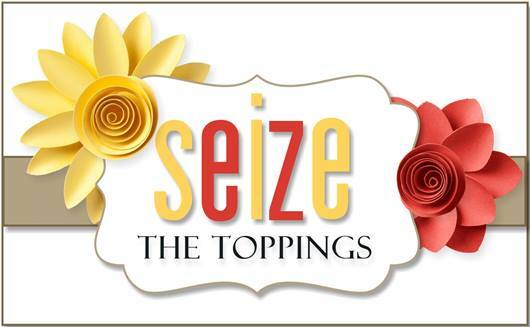 The flowers were also heat embossed with white embossing powder. The rectangle and circle dies, the vellum leaves, and the heart border die reallyhelped this card come together. If you have any other questions…let me know! Categories: Cards | Tags: Card making, Cards, Happy Birthday, rubber stamps, sketch challenge, stamping, Stamping Up, Verve Stamps | Permalink. Beautifully done and wonderful color combo. Absolutely stunning Nancy. Love the result. So colourful and an awesome layout. Fantastic Sketch. I quite love your background and the smooshing, looks awesome, beautiful colors! Great “smooshed” background. Love the pretty colors.